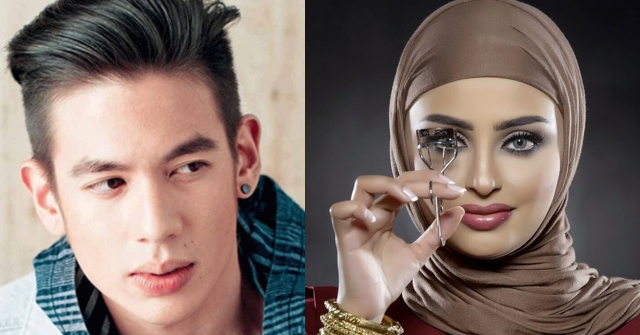 Home / Entertainment / Jake Ejercito to Kuwaiti racists Sondos Alqattan: "Perhaps you should eat your makeup..."
Jake Ejercito to Kuwaiti racists Sondos Alqattan: "Perhaps you should eat your makeup..."
Just like others who found freedom expressing their thoughts in any Social Media Platforms, Jake Ejercito, son of Manila Mayor Joseph Estrada fearlessly tweet his disappointment about the viral video of Sondos Alqattan, a Social Media Star from Kuwait. The viral video is about her opposing against the new law giving privilege to domestic workers to have a one day off and securing their passport in their own hands. The Social Media world blast with horrible responses in return for her awful and shameful statement especially when she said that Filipino maids are "slaves". "Perhaps (Sondos_q) should eat her makeup, so she'd be decent on the inside too. Which fellow Social Media users agreed to him and demands to take a public apology. Even she's a Social Media Star with a million of followers, this is not an excuse to be considered. Now her Social Media accounts are already restricted due to extreme criticism that she's currently receiving. We may be different in perspectives in life but respect begets respect. Her ugliness in the inside is so deep within her soul. Shame on you, @Sondos_q !! Who do you think you are? Do u think u r above & better than anyone else?Look at the mirror! !Your face reflects TERROR! Your poor soul needs a day off too! Come here in North America and I'll show you that you are nothing, but a regular human being!! Duhh clean ur underarms first . Most of all don't use perfume, instead.take a shower everyday. Tell to ur fellow Kuwaitis girl to. Para namang mkakatulong ka sa lipunan. Maybe she should put plenty of make up on her face to cover up her rotting attitude.